The Department of Social Protection are responsible for determining the amount of maternity benefit payable to an employee. 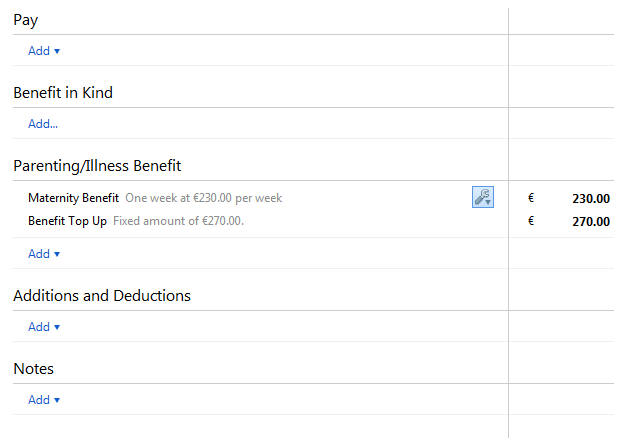 Maternity Benefit is taxable for all claimants. As with all Department of Social Protection benefits, it will not be subject to USC or PRSI. The taxation of Maternity Benefit, Adoptive Benefit and Health & Safety Benefit will be taxed by Revenue by simply reducing an employee's tax credits and SRCOP. Employers will be advised of the adjusted tax credits and cut-off points on employer tax credit certificates (P2Cs). Therefore it is important that employers import/apply the new tax credits and SRCOP immediately upon receipt. Employers do not make any additional adjustment to attempt to deduct tax from the maternity benefit payments issued by DSP. 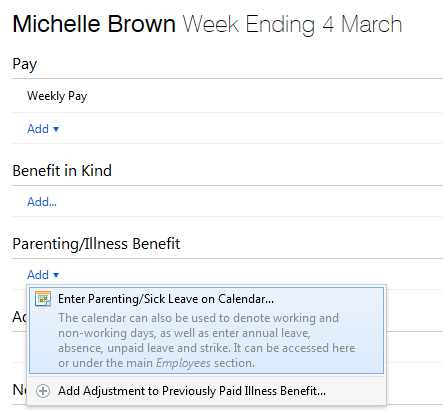 2) Within the ‘Parenting/ Illness Benefit’ section on the employee’s payslip, click on Enter Parenting Leave on Calendar. 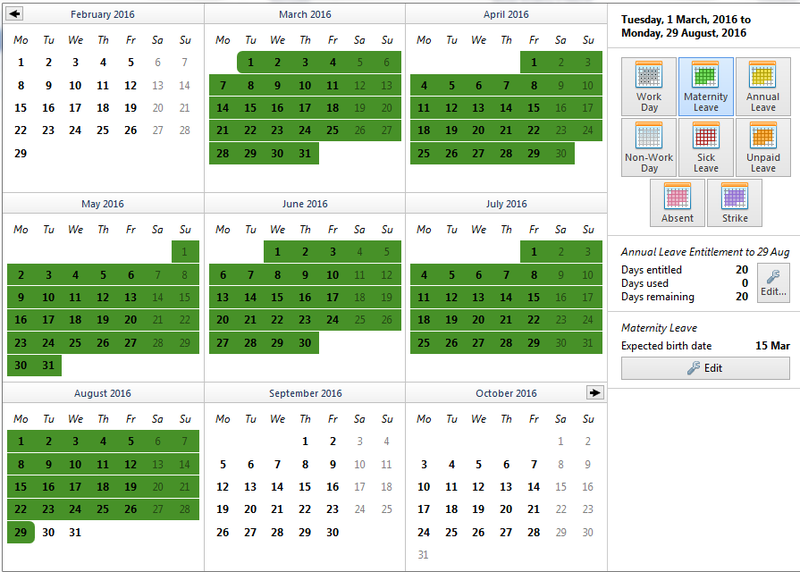 3) Highlight the start of leave date and press Parenting Leave > Maternity Leave at the top right of the calendar. 7) Enter any additional notes, as desired, and click Save. 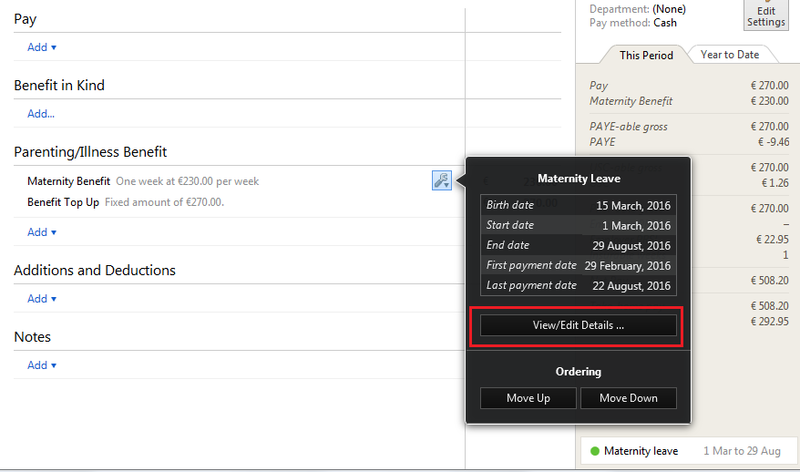 The date range of the planned maternity leave will be updated. 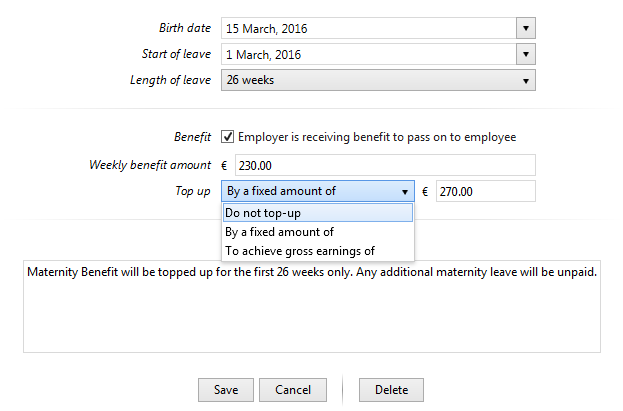 9) To view/ edit the maternity leave details at a later stage, simply click the Edit button within the Parenting/Illness Benefit section, followed by View/ Edit Details. 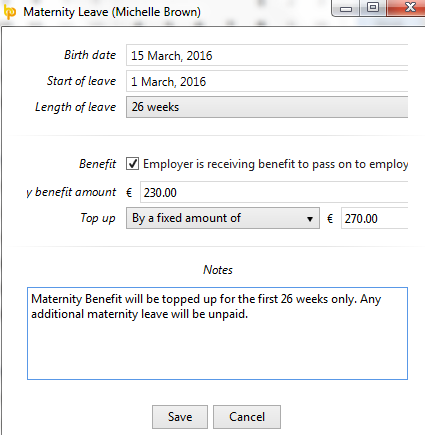 The original Maternity Leave entry will be displayed, amend and save as required, for example if a top-up ceases prior to DSP payment.